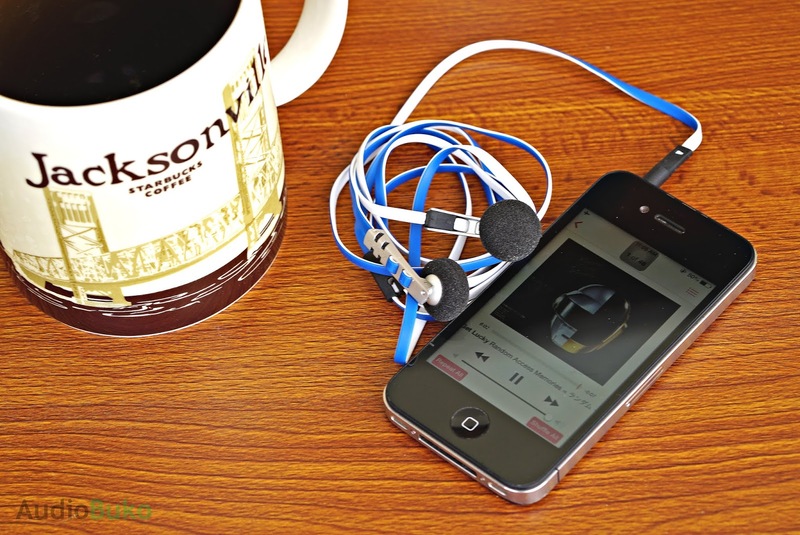 Introduction: Sunrise was the original name of the Chinese company now known as Simphonio who produced several earbuds aside from the Charm like the AS Feeling II, SW Dragon II and migrated to the Simphonio brand with the Dragon II+ as their current main TOTL earbud. 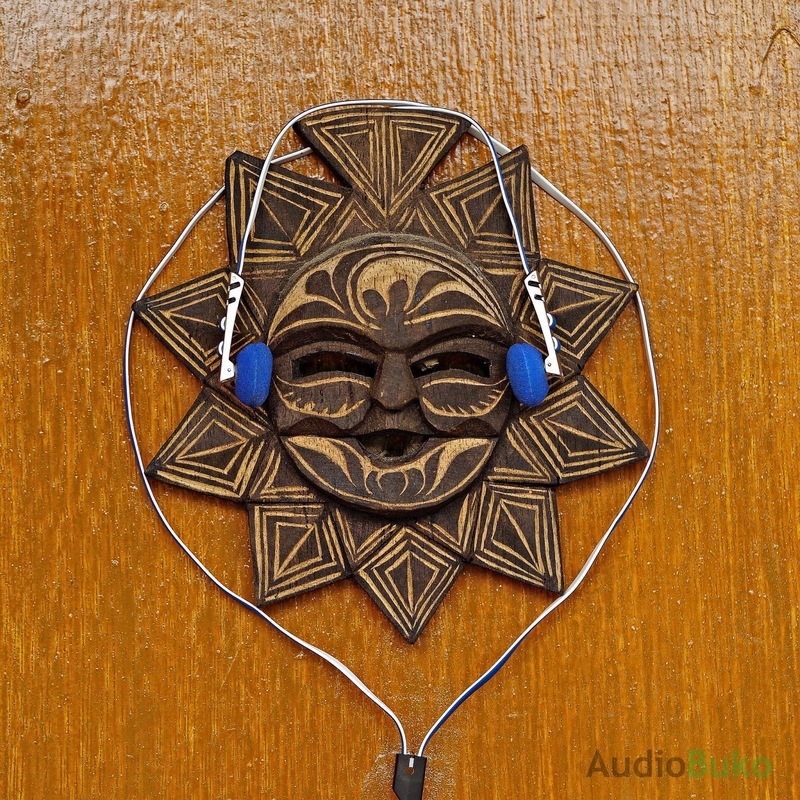 I would like to thank Penon Audio and Sunrise/Simphonio for providing me with a review sample in exchange for my honest and unbiased review. You can purchase the Sunrise AS Charm 3 HERE or locally if your retailer has them in stock. 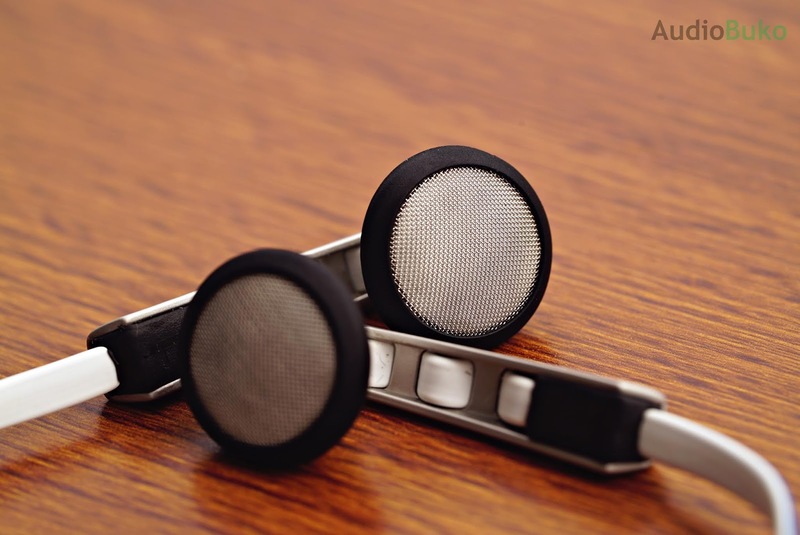 The Charm (which I'll call the AS Charm 3 throughout this review) was one of the few Titanium diaphragm earbuds at the time of it's release back as early as 2012 (which I could be wrong since there's not much historical info about it's initial release) and marketed for mobile use. It uses an Acoustimass Housing System and claims "extreme midrange", "treble performance", "quick bass" and "wide soundstage", thing's I'll be tackling later on in the review. 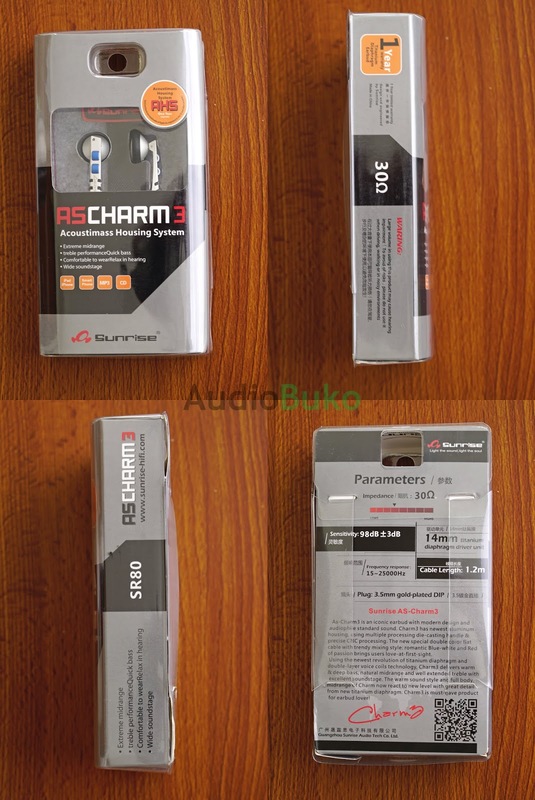 One thing that I'd like to note is the Charm's compatibility with mobile sources, at 30Ω and 107-113dB sensitivity, it does play well on phones with weaker max volumes (like most Xperia models) up to a satisfying level but scales and performs a lot better with more powerful sources like dedicated players and DAC/Amps. Unboxing: The Charm came in a small origami like transparent plastic box that has a lot of info, graphics and a QR code from the internal carton. It opens up like a door to reveal the buds, wire and other accessories. 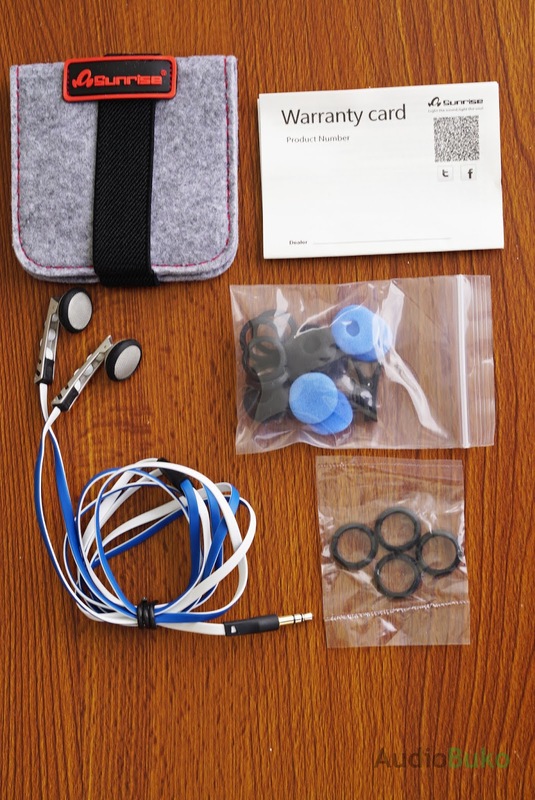 The package contains a very nice felt like foldable pouch (which is actually useful for holding the buds and the other accessories), a warranty brochure, the Charm earbuds, 4 pairs of foam tips, 4 pairs of rubber rings (and one pair already on the ear bud) and a shirt clip. Build/Design: The Charm has a simple hard rubber coated 3.5mm jack that is mobile phone case friendly. 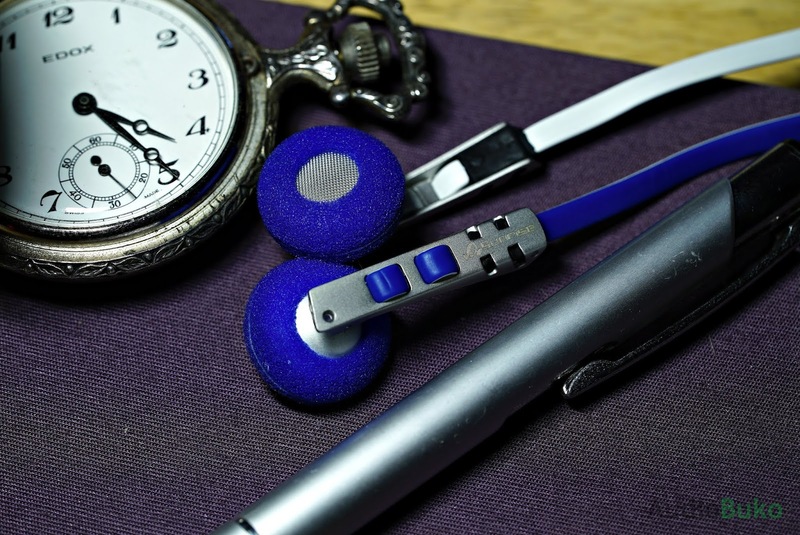 The bi-color (blue and white) flat wire that extends from the jack may be thin (and well, flat) but they do feel sturdy and not stretchy with an almost matte feel to them, some may like it, some won't but they work and will likely serve you for quite a long awhile. 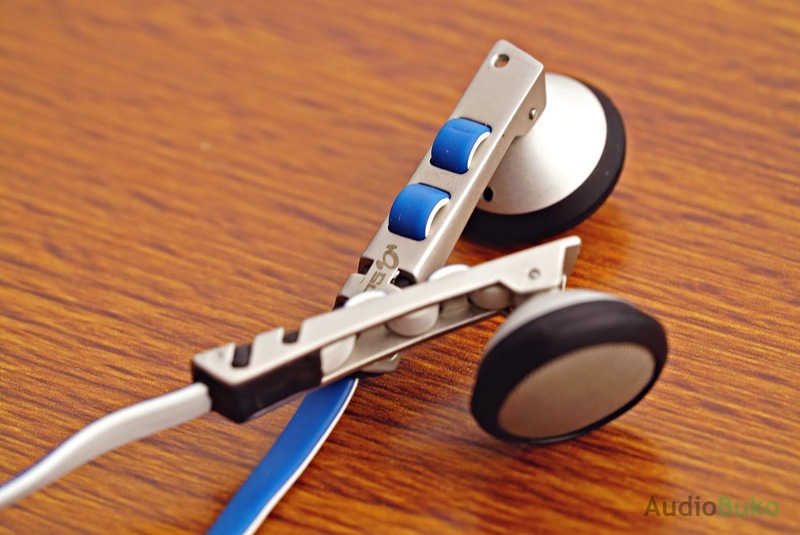 The wires reach into the hard rubber splitter that is angular in design to help remove any ideas of monotony to the whole. The Charm's best physical feature is the very sturdy build of the shell, it's made of a strong and light metal that is connected to the nicely branded arm made of the same material via pivot point, this gives the Charm a bit of swing and acts as a strain relief so the woven wires cant get yanked out of the shell. The shell has a vent at the back and bottom part and the outer shell is guarded by a rubber ring (which allows it to be used with or without foam pads as they do help in keeping the Charm in my ear. In front is the fine steel mesh protecting the titanium diaphragm. They feel comfortable enough to wear due to the 14mm sized diaphragm and stays in well enough for casual walks with the combination of foam covers and it's light weight. 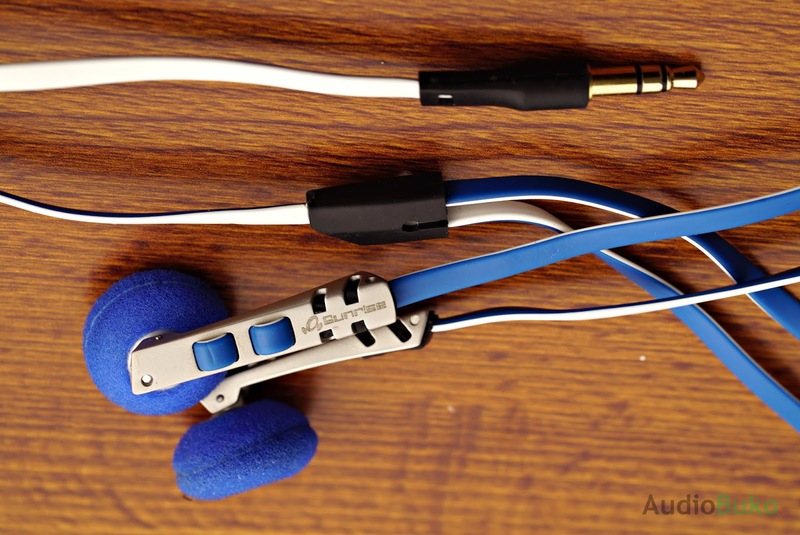 Sound Stuff: So initially I said the Charm was a relatively midcentric earbud with bass following close and treble neutrally placed in terms of frequency presence. A few things changed a bit from my initial listen after running the Charm's titanium diaphragm through 150+ hours of music (aka burn in/usage). Bass: The Charm has a decent amount of sub-bass quantity and moderate depth so drums from Way Down Deep sound alright with the notes reaching down well but is tighter than average, trading some body for more detail. There is moderate bass impact that is fast and felt with the Charm that is easily satisfying with Cheap Thrills' bass beats. 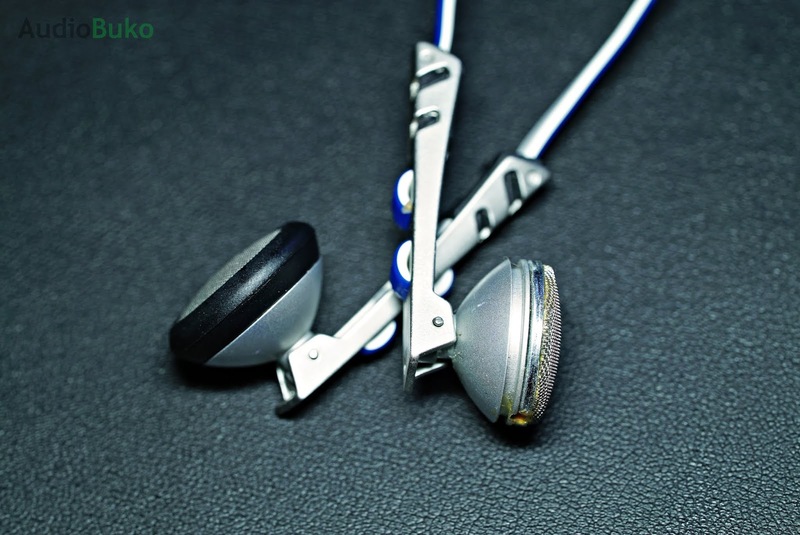 Bass decay is fast, in line with the Titanium diaphragm which gives a more energetic resolution of the music. Mids: Are easily the best part of the Charm, there is a good amount of warmth and body in the lower mids that gives male vocals a little bit of a forward position and an intimate sound that's smooth. Female vocals on the upper mids are similarly forward as the lower mids with a good amount of body and warmth that sounds sweet and likewise intimate. Instruments in general sound good in the mids but the speed of the Charm lends well to a crunchy rendition from guitars in this level, the level of clarity and crunch can easily be heard with Highway Song from Blackfoot as each pluck of the guitar sounds raw and almost 'live' in presentation. There is an overall average amount of detail retrieval and clarity with the Charm and presents a rather musical midrange. Highs: The Charm has a moderate amount of air and a good amount of clarity with a natural sounding reach that does not sound rolled off. There is a crisp nature to the strings and notes here that is helped by the good amount of air that also adds a bit of sparkle and energy to the overall presentation. There is no sibilance or harshness found with the Charm. Soundstage: The Charm has a good amount of width and depth that sounds natural in it's expansion, with instruments, vocals and sounds are spaced well and are positioned rather accurately. There is no sound of congestion or compression. 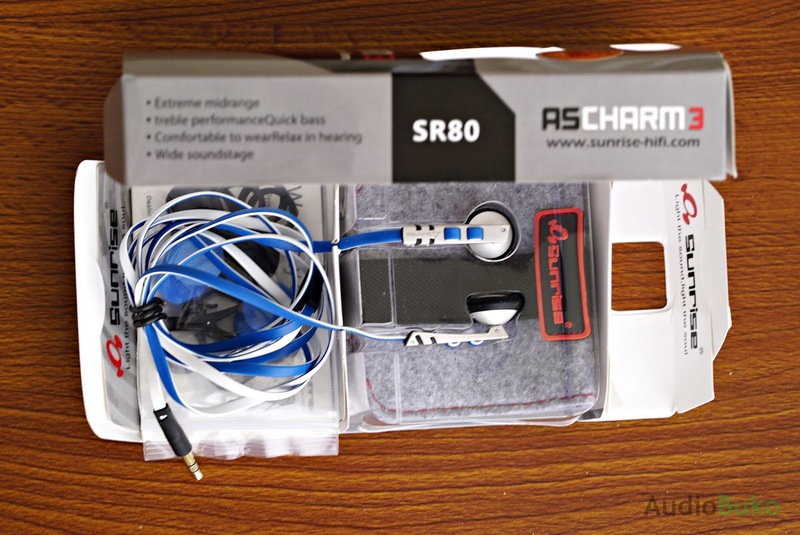 Conclusion: The Sunrise AS Charm 3 is a source flexible good little earbud that provides good bass and highs as well as great mids that sound musical and energetic. Most of the time, music sounded just really good with old school rock music, but it also sounded great with 80's synth pop, metal, trance, grunge, acoustic and classical. It can play well on your phone and scale up with DAPs and Amps. 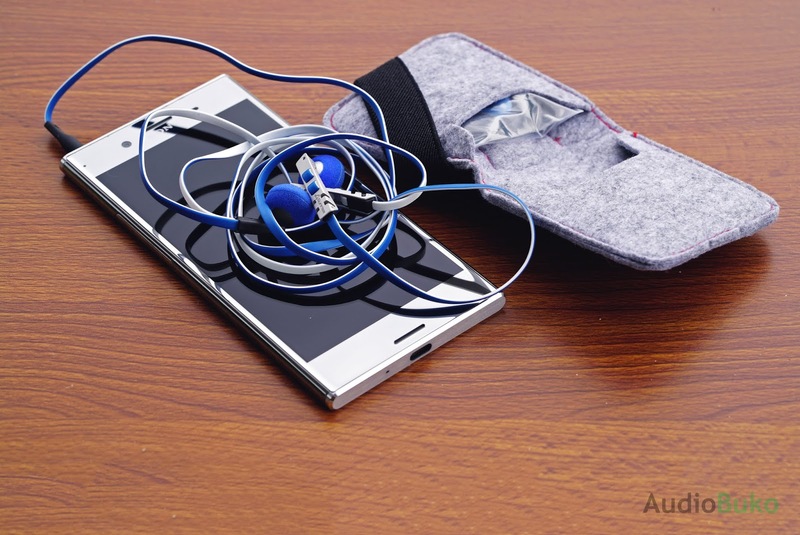 ✓ (not so) "Extreme midrange"
People looking for a sturdy earbud as a daily driver that can take abuse would do well with the Charm 3. Also the shell seems to be modder friendly (for rewiring/swapping drivers) as the driver sits on top of the shell and is held together with some glue and the rubber rings. Things to note though, there seems to be a limit to the power/volume you can send the Charm before the sound starts to distort, don't worry though as they are pretty near the max volumes and on high gain of most DAPs and Amps. Pros: Look and design, durability (of shell), good overall sound quality and musicality. Cons: It's a bit dated. Nitpicks: Price, at that range these days, you could find something better in sound quality but not the same in build quality and materials as this so it's still a bit of a neutral point.